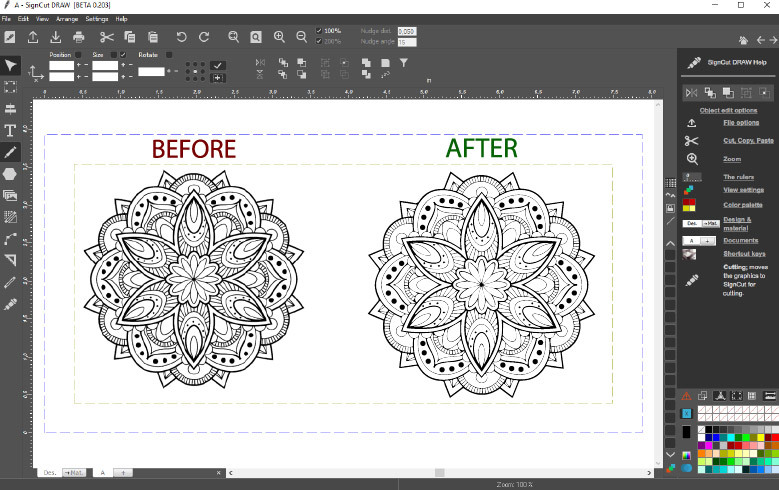 The SignCut Draw vectorization process is quick and easy to use. It gives you a flawless result, every time and helps you turn the most difficult black and white or color raster images like JPEGs, GIFs and PNGs into scalable vector graphics with just a few clicks! 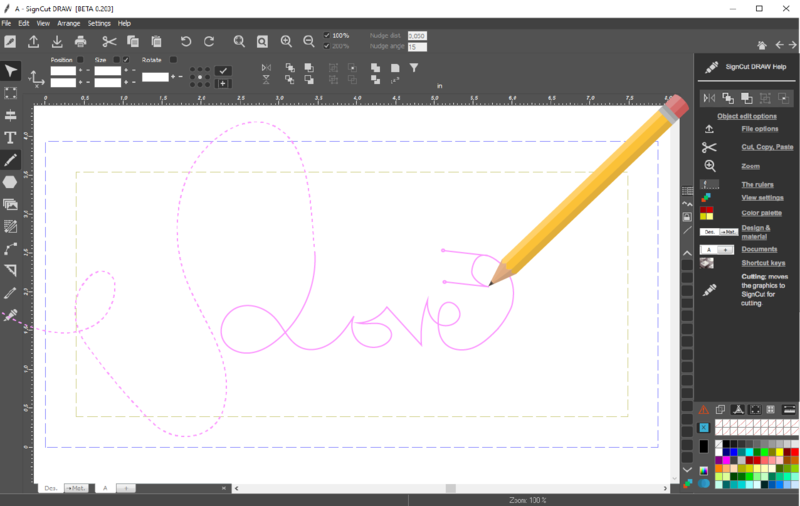 Our freehand drawing tool makes it possible to draw contours around an already existing object or draw your own objects by hand. The freehand drawing tool will create editable vector paths allowing you to edit and fine tune your piece of art by editing the nodes with our powerful node tool. You can toggle between the three different zoom levels. This is useful when working with details in your design and reduces the need of zooming back and forth manually. 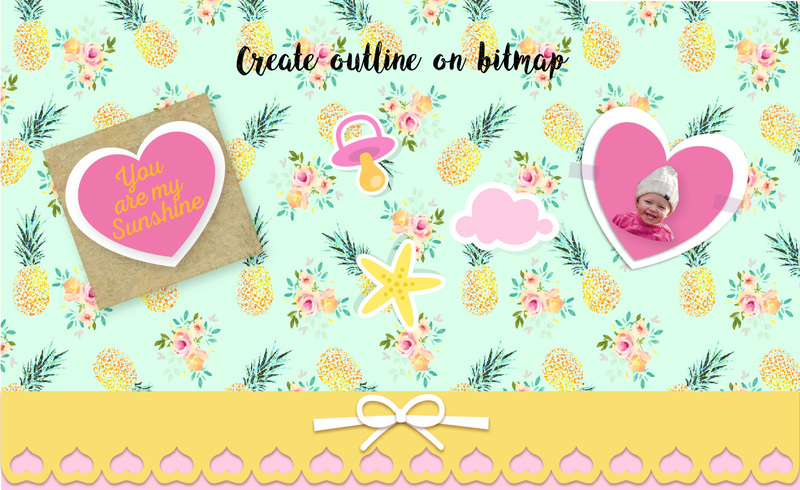 Our superior feature “Outline on Bitmap” is perfect for you who wants to create shapes of any kind on your raster images, photos or on a really fancy paper you love and especially if you are into crafting and scrapbooking. Just open the image in SignCut Draw and let the software detect the edges of the image or use the threshold bar to detect parts of the image and when you are satisfied just double click and an outline are created, ready to be contour cut. Wouldn’t the world be a prettier and more FUN place if you would be able to put little diamond jewelry stones on everything? With SignCut Draws new Rhinestone features only your imagination sets the limit. You can fill any shape, font or design and create rhinestone templates for cutting. Just select the desired stone size and set a max/min space between each stone and the object you want to fill and SignCut Draws Rhinestone feature will create your template for rhinestones with just one click. You can then if you want edit specific placeholders for the rhinestones to make sure everything is perfect. With the help of SignCut Draw Rhinestone feature, you can now apply rhinestones to practically everything from T-shirts, handbags, cell phones to glasses, jeans and more. Vectorization – Quickly convert any raster images (BMP, JPG, GIF, TIFF) into vector. Weld – If two or more objects are overlapping, just seleted and weld them together into one single shape by using the weld tool. Clipart library- If two or more objects are overlapping, just seleted and weld them together into one single shape by using the weld tool. Text Tool Change font, Resize, reshape, bend and arc is just a few examples of what you can do with our text tool. Contour effects Create outline effects on text, shapes and graphics. Shape tool – Create any geometric shape imaginable.  Node editing – activate the Node editing tool when you want to change the shape of an object. This can be necessary when you for example have vectorized a bitmap image. Align tool – when Align is active, you can align objects so that they get a common edge or you can center them. Shortcuts – if you prefer you can doeverything in SignCut draw with a simple key combination on your keyboard.